Syntek Technologies operate in three locations that support our employees and our customers. Our headquarters is in Arlington, Virginia, proximate to ONR, NRL, DARPA, FRA and Navy customers. From here we also provide services to the Naval Surface Warfare Center in Dahlgren, Virginia. Our Philadelphia location supports the Navy’s Ship Systems Engineering Station, including the many full power test sites located there. 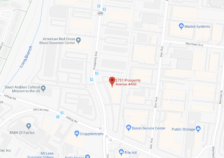 Our Severna Park location, home to many staff who served at the now-closed Annapolis Navy R&D lab and the Naval Sea Systems Command, is conveniently located to serve all customer locations.